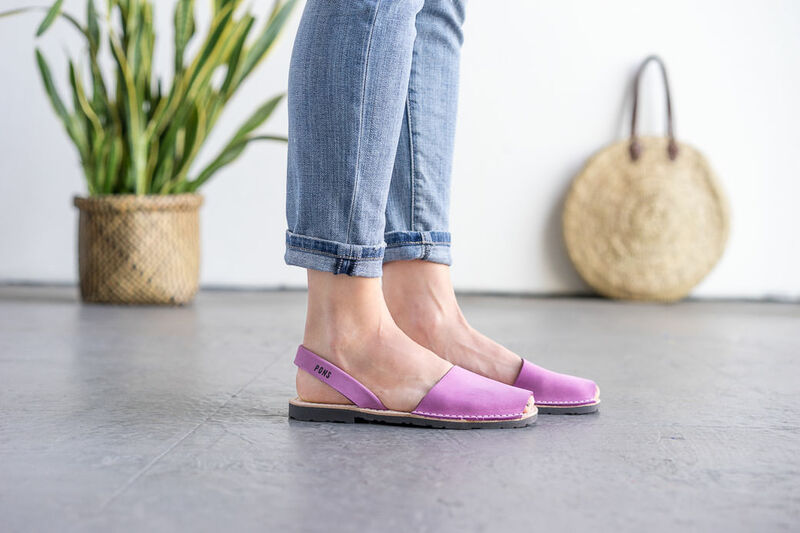 Inspired by the rich color of crushed blackberries, our women's Classic Pons Avarcas in Berry is a beautiful blend of our Fuchsia & Purple colors. A versatile Spanish Sandal, Pons are made in Menorca by local artisans with high quality soft Nubuck leather and a comfortable rubber sole. We love to pair them with denim or black to let the vibrancy of this color truly shine.